Watch, learn and participate with your very own personal glass experience in the Morean Glass Studio! The Personal Glass Experience is designed with the novice in mind. 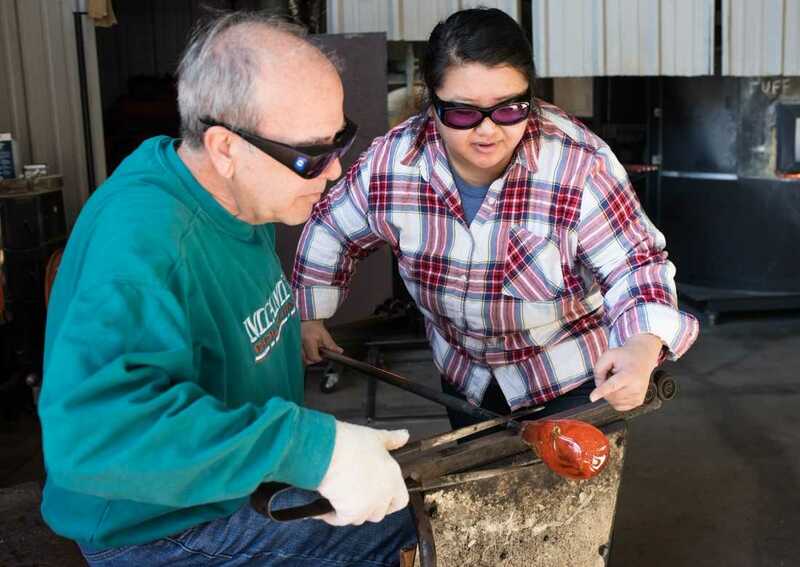 This unique one-on-one opportunity in our Glass Studio gives you the chance to work with one of our demonstration artists to learn the fundamentals of glass blowing. One of the Morean's demo team instructors will guide you through all the necessary steps to make your own blown glass sculpture. As the guest, you will create one hand blown piece of glass art in an experience lasting up to 30 minutes. 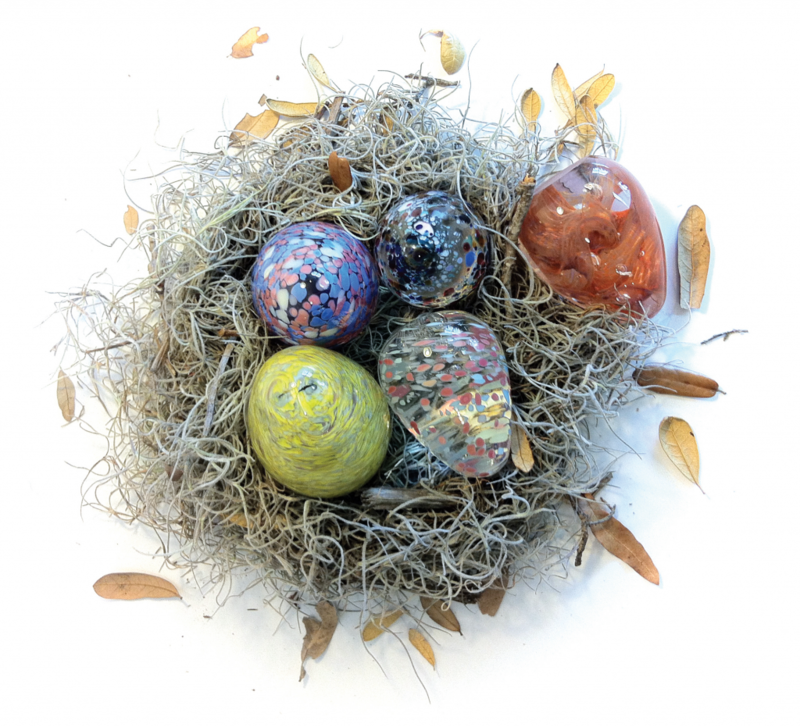 Blow your very own glass egg for the month of April! Blow your very own glass flowers for the month of May! Experiences Tuesday-Saturday available at 10am, 10:30am, 11am, 5pm and 5:30pm. There are no refunds on ticket sales for the Personal Glass Experience. Our minimum age requirement of 11 years old. Please arrive at least 10 minutes before your Personal Glass Experience time to complete paperwork and prepare for your one-on-one experience. For safety reasons, participants must wear closed toe shoes and cotton clothing, and remove any jewelry or watches from hands and arms before their experience. PLEASE NOTE: glass objects created during the experience must cool overnight and are not ready to take home until the following day. If the guest is unable to return the following day, the object may be shipped to them for a small shipping fee.